This page provides links to outside loans and grants, as well as Reinhardt scholarships. The different categories of financial assistance are listed here. Eligible graduate students can receive $20,500 per academic year in this program. The aggregate loan limit is $138,500 for a graduate student (includes undergraduate loans awarded to you). You can check your student loan history at https://www.nslds.ed.gov. To be considered for this type of loan, you will need to complete the Free Application for Federal Student Aid (FAFSA). 1. 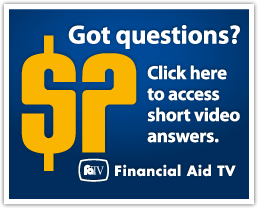 After being accepted into Reinhardt's graduate program, apply for an FSA ID at www.fafsa.ed.gov. Applicants for May 1, 2016-March 13, 2017 should complete the 2016-2017 Free Application for Federal Student Aid (FAFSA) using Reinhardt Federal School code: 001589. The FAFSA is the application that determines eligibility for all Federal Aid, and it does not require a fee for submitting the form. Use only the official web address -- www.fafsa.ed.gov -- to access the FAFSA. There are websites with addresses that are similar to www.fafsa.ed.gov which charge a fee to redirect you to the correct governmental site. You will not be charged this fee if you use the official FAFSA site. 5. Students will begin receiving communications from Financial Aid after they are admitted to the University. Prior to the beginning of each semester, students will need to view their Statement of Account on EagleWeb. Failure to view their Statement of Account on EagleWeb is not an excuse for failing to meeting the payment deadline. Tuition, room & board (if living on campus), and fees (technology, student activities, etc.). Reinhardt University is partnered with Tuition Management Systems (TMS) to assist students in paying tuition, room and board, and fees through affordable monthly payments. Payment arrangements must be made by the payment deadline, which is two weeks prior to the beginning of each semester. By participating in a monthly payment plan, a student can make smaller payments over the course of several months rather than making one large payment. The TMS monthly payment plan is not a loan, so no credit check is required. The enrollment fee is paid only once each year. Students enrolling for fall semester in a Traditional Undergraduate or Graduate program can sign up for a payment plan. The length of the plan is determined by when the plan arrangements are made. Students entering spring semester who sign up by December 19, 2016 can enroll in a 4-month payment plan. The payment plan is not available for the summer semester or to online learners. 2. Subtract yearly loans. When calculating student loans, please remember origination fees. The origination fees can be found on your EagleWeb Statement of Account. 3. This is the yearly total amount due divided by number of months for the chosen payment plan to determine the monthly payment. The total payment amount can be adjusted at any time. Students may choose to pay by check, money order, credit card, online, phone, mail, or automatic deduction from a checking/savings account. Students who are participants in the TMS monthly payment plan and who are not delinquent with their payments will be financially eligible to register for the upcoming semester. For more information or to enroll, please visit www.reinhardt.afford.com or call 800-722-4867.